Paul Pope gets yet another prize for BATTLING BOY! Paul Pope with his Eisner at San Diego Comicon in July 2014. 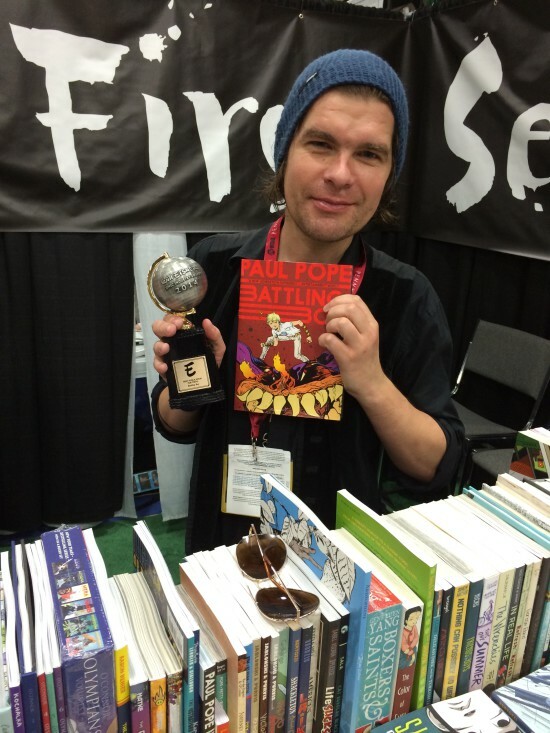 Last weekend, Paul Pope won the Harvey Award for Best Cartoonist for Battling Boy. This comes hot on the heels of his San Diego Comicon Eisner Award win, also for Battling Boy, and just before the release of The Rise of Aurora West. Next Post Faryl Dalrymple’s THE WRENCHIES is on the NY Times Bestsellers List!